The paper industry is a global business involved in the manufacture of paper and paper goods. Paper is created by processing wood into thin sheets that can then be used in industry, communications, shipping and entertainment. Major businesses in the paper industry may own tree farms, wood processing facilities, paper manufacturing factories, or a combination of any of these. Paper products have a wide variety of uses and can be found virtually everywhere in developed nations. Paper was first created in antiquity, and early forms of paper were used by ancient Chinese and Egyptian cultures. The word “paper” itself derives from a paper-like substance called papyrus used in Egypt thousands of years ago. Like modern paper, these early forms of paper were created by processing plant fibers. Modern paper production began in medieval Europe and contributed to the emergence of printing and widespread literacy. The paper industry emerged during the Industrial Revolution of the 1800s. In modern times, paper is produced by processing wood pulp through chemical and mechanical means. Historically, this wood pulp was produced from raw lumber taken from tree farms and forest lands. This is still the source of most wood pulp, though recycled paper is increasingly used in paper production. The pulp is dried and pressed into sheets of various thickness and composition. The worldwide paper industry processes approximately 330 million short tons (about 300 million metric tons) of paper every year; roughly half comes from recycled paper and by-products of the lumber industry. Thousands of paper and paper-derived products are produced by the paper industry. 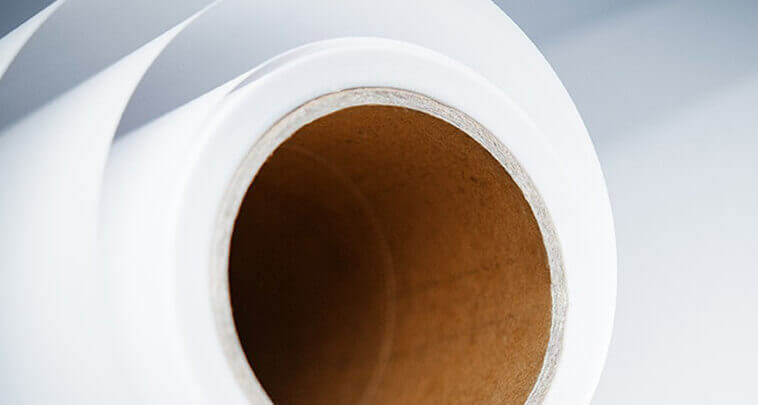 Paper itself can be processed into individual sheets designed for various uses, from elegant linen paper for wedding invitations to thick, durable poster board and masking tape. Numerous products use paper for packaging, as it can protect products and be printed with designs and information. Paperboard and cardboard boxes are used for shipping worldwide. Paper is also used in construction, food preparation, medical applications and even tobacco products. The facilities that process paper are called paper mills. The worldwide paper industry has more than 10,000 paper mills in constant operation around the globe. In the United States alone, 700,000 people are employed in some area of paper use or production. Billions of books, newspapers and magazines are produced each year, in addition to the various other paper products. Nearly half of the world’s discarded paper is reclaimed through various recycling programs, which reduces the burden on the world’s forests for paper production.